We approach both big and small projects with the same passion, and every project is alive with possibility. We’re not confined by expectation or by precedent. Instead, every project is unlike any other, and our track record shows where an open mind and intelligent research can take us. We’ve led large international teams to deliver complex buildings, we’ve worked on urban master plans, and we’ve created museums and galleries, pavilions and temporary exhibition spaces, universities, schools, private houses and artists’ studios. Whatever the project, and whatever the scale, we work closely with our clients at every stage – from that initial conversation, through construction and beyond. In every case, we find the best answer to the very specific question that the client and the site present us with, bringing together finely crafted details, natural materials and the latest technology. And then we go one step further to include something fresh and unexpected. We have the experience, energy and sensitivity to create warm, welcoming spaces which invite you to use them in ways you might never have imagined. Maurizio is fascinated by the relationship between city, architecture and public places, and is passionate about rethinking the way these interact. How can we create better connections between private and public spaces? How can internal and external spaces better flow into one another? How can people positively influence the way public spaces are used? He has explored all of these questions in his work as lead architect for V&A Dundee, a dramatic building which draws people to the waterfront, revitalises the idea of public space, and blurs the boundaries between a building and its surroundings. 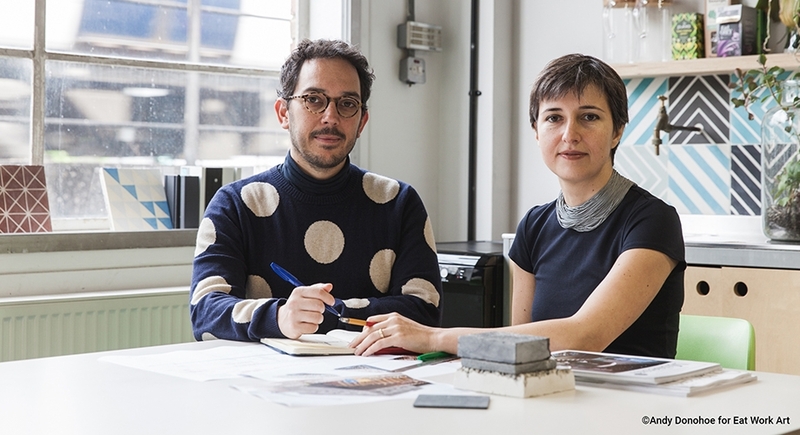 Before setting up PiM.studio with Maria-Chiara Piccinelli in 2016, Maurizio worked with Kengo Kuma & Associates in Tokyo, Edinburgh and Paris, with OMA/Rem Koolhaas in Rotterdam, and with Jeffrey Inaba at C-Lab in New York. He is a chartered member of RIBA (Royal Institute of British Architects) and RIAS (Royal Incorporation of Architects in Scotland), and is registered with the ARB (Architects Registration Board). 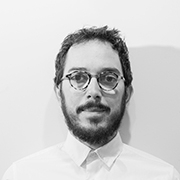 Maurizio holds a Master of Architecture from the Politecnico di Milano and a Master of Science in Advanced Architectural Design from GSAPP – Columbia University. 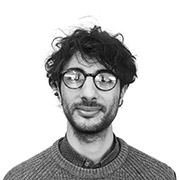 He also collaborates with the London School of Architecture, co-leading one of the LSA Design Think Tanks: “Emerging Tools – designing, building and making in the 21st century”, and he’s a “RIBA student mentor” at Central Saint Martin – UAL. Maria-Chiara is as interested in the technical aspects of architecture – the finer details, the way things fit together, the materials – as she is in the way we use the spaces in which we live and work. She is a strong believer in the importance of public spaces for a city to thrive, and in the crucial role nature plays within architecture. As a director of PiM.studio alongside Maurizio Mucciola, she brings to the practice many years of experience leading complex and high-profile projects. She began her career in Italy, and has since worked in Tokyo, Edinburgh and Paris for Kengo Kuma & Associates, and in Rotterdam for OMA/Rem Koolhaas. Most recently, she applied her rigour and eye for detail as project architect on the much-heralded revamp of the Galleries Lafayette revamp in Paris for Amanda Levete Architects. She is registered with the ARB (Architects Registration Board) and with the OAPPC (the architects register in Italy). 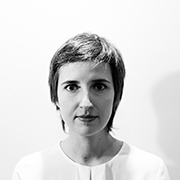 Maria-Chiara holds a Master of Architecture from the Politecnico di Milano, and she co-leads with Maurizio Mucciola and Angie Jim Osman, “Emerging Tools – designing, building and making in the 21st century”, one of London School of Architecture Think Tanks. Maria-Chiara is also Architecture Ambassador for the RIBA National Schools Programme. Martín joined PiM.studio after completing with honours his Master’s Degree from the School of Architecture of Valladolid, in Spain. He has received several awards in national and international competitions, both working as part of a team and individually. His academic and job experience in different countries and ambiences such us Spain, Brussels, Prague or London, has given him a diverse and rich cultural background, what he considers an essential foundation in his critical thinking. Martín is interested in a multidisciplinary approach to architecture, combining quite fairly a high technical basis with a more conceptual intention. He gets engaged with any commitment related to architecture and its associated fields. Sheenwar joined PiM.studio Architects after completing his postgraduate studies at the London School of Architecture. Passionate about the built environment as a way of assisting cultural shifts and architecture that is sensitive to human behaviour, his thesis project proposed a design to integrate out-patient mental healthcare facilities with a community leisure centre. 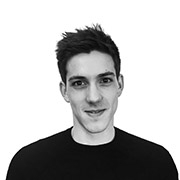 He has previously worked in London at Scott Brownrigg in the education and residential sectors, and In Istanbul, Turkey for Dara Kirmizitoprak Architects on private residences and urban design projects.